Responsible retailing has become a growing topic of concern for SPAR Hungary. This year’s initiatives included the introduction of degradable, compostable bags, as well as additional RPET-type, environmentally-friendly bags. Last year, the company focused on re-using materials and also gathered for recycling four times the amount of their own waste output. Protection of the environment is part of everyday life in the company’s retail network, logistics centre, food industry plants and headquarters. SPAR Hungary’s results are especially encouraging with recycled paper. The volume of recycled cardboard and paper waste material increased by 20% from 2014 to 2017. Several years ago, SPAR Hungary introduced an internal development programme with the aim of significantly reducing the amount of plastic packaging and plastic products sold in the medium term. At present, two types of plastic shopping bags are available, but SPAR Hungary uses a number of environmentally friendly solutions as well, such as paper bags, paper cooler bags, and non-woven multipurpose eco-friendly shopping bags. 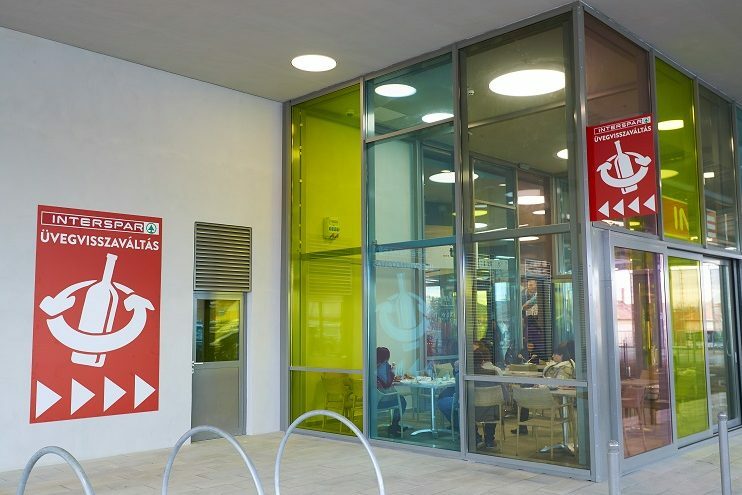 The SPAR Partner has focused on assisting customers in the collection of glass and paper waste, extending its glass waste collection service by offering an increased number of glass drop points at SPAR stores. These have been in place in SPAR and INTERSPAR stores across the country for four years and the volume delivered by customers is growing annually. Last year for example, 583 tonnes of glass waste was returned to SPAR collection points. SPAR Hungary has already for many years included in its business practices environmental and sensitivity training for employees. SPAR also applies environmentally-friendly technologies and procedures in its work processes.